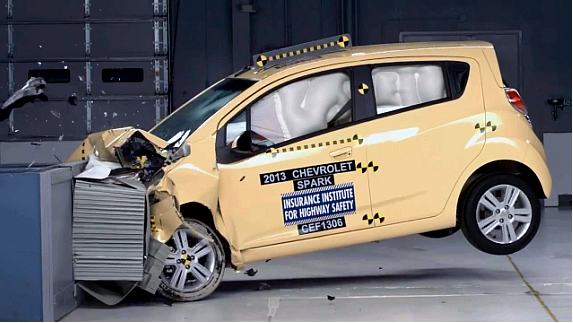 Elizabeth City NC – The 2014 Chevrolet Spark, available at Performance Chevrolet, is a Top Safety Pick in its first year of eligibility, and is the only vehicle in the Insurance Institute for Highway Safety minicar segment to earn the rating in 2014 model year testing. Spark achieved highest possible “good” scores in the IIHS’s moderate overlap front, side, roof strength and head restraints tests, and scored an “acceptable” in IIHS’s new small overlap test, designed to replicate what happens when the front corner of a vehicle strikes another vehicle or an object like a tree or a utility pole. Minicars present unique challenges when designing for crashworthiness. Spark’s relatively short wheelbase of 93.5 inches required the Spark team to strengthen the car’s front-end structure to better absorb and distribute impact energy around occupants. A cradle extension offers additional support in frontal collisions for Elizabeth City-area drivers. Lightweight, high-strength steels constitute more than 62 percent of Spark’s under body and 42 percent of its upper body. The car’s rigid door beams and H-shaped structure under the seating area are designed to enhance protection in side impacts, and its high-strength cross members are designed to help manage crush space in side impacts. Spark’s roof bow and B-pillar also use high-strength steels to help preserve the occupant space in a rollover crash. Likewise, the high-strength rear rail is designed to help protect the fuel tank in side and rear impacts. Spark’s driver and passenger front knee air bags are designed to reduce the risk of lower extremity injuries in frontal crashes. Further protection is provided, for Elizabeth City-area owners, by dual-stage frontal air bags, seat-mounted side air bags and side curtain air bags that extend over the front and rear seating rows. Additional safety features include a rollover sensing system, three-point safety belts in all four seating positions, safety belt pretensioners in the front driver and passenger seats, the LATCH child seat attachment system, adjustable head restraints and collapsible steering column. You Elizabeth City Chevrolet Sonic Dealer is here to serve you with a huge selection of 2014 Chevrolet Sonic Inventory. If you have any questions about the Sonic please call us at (252)338-9100. Performance Chevrolet is located at 1005 West Ehringhaus Street in Elizabeth City, NC. Elizabeth City NC – When it comes to pickup trucks, the usability of the back end is just as important, to Elizabeth City-area owners, as the power under the hood. 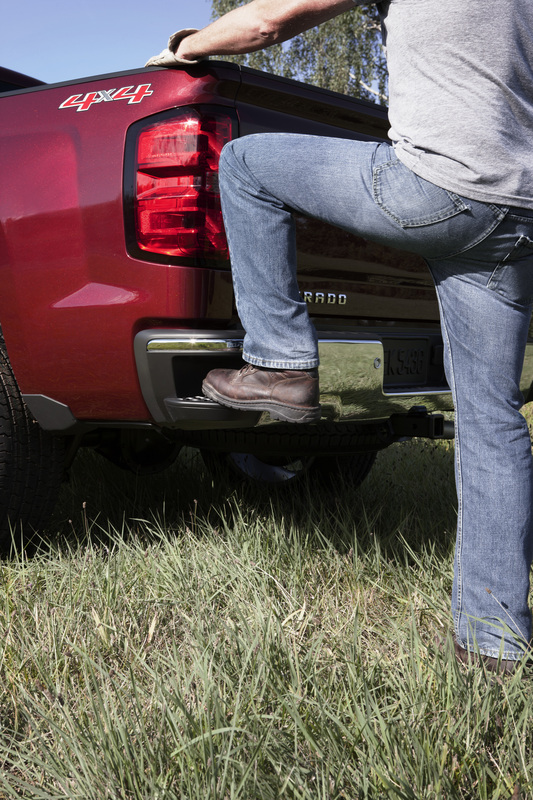 Customer-focused innovations to the cargo box of the 2014 Chevrolet Silverado were designed to make it easier to see, secure and access what’s back there. Elizabeth City-area owners say they most frequently use their trucks for everyday projects. Two out of three use their truck for hauling. Seasoned truck owners want a pickup that makes loading and securing cargo as simple as possible. Making it easier to climb into the truck bed and retrieve items is a bonus. If you’re ready to enjoy the season’s best pickup truck that is perfect for both work and play, come see us at our Columbia Area Chevrolet Dealer to take the 2014 Chevrolet Silverado for a test drive and check out our New Chevrolet Cars. Perry Auto Group has two dealership locations at 1005 W. Ehringhaus St, Elizabeth City, NC, 27909 or 1001 Halstead Blvd Elizabeth City, NC 27909. Elizabeth City, NC – The 2013 Chevrolet Spark mini car, Chevrolet’s first mini car for the U.S., is a sporty four-passenger, five-door hatch, and is now available at Performance Chevrolet. It is designed to excite first-time buyers and city dwellers with its bold styling and colors, affordability, the safety of 10 standard air bags, fuel efficiency and maneuverability. Spark also is the only car in its segment to provide Elizabeth City area drivers a seven-inch color touch screen radio capable of displaying smartphone-based music, videos, photos and contacts for hands-free calling. Later, an app for full-function GPS navigation, called BringGo, will be available. 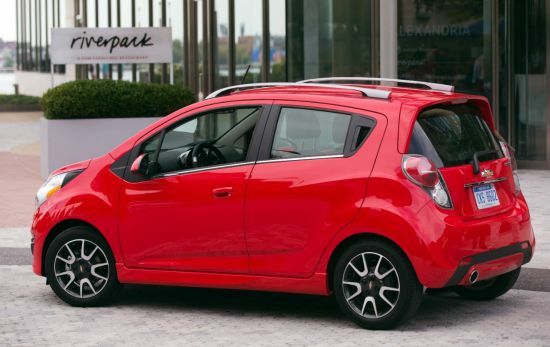 Though compact, Spark offers more passenger and cargo room than other mini cars such as the Fiat 500, Smartfortwo and the Scion iQ. Equipped with the Ecotec 1.2L four-cylinder engine and five-speed manual transmission, Spark offers competitive fuel economy. ↑ Top Powered by WordPress.com.